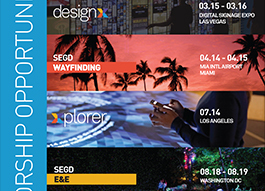 SEGD is excited to launch the first designX event at the Digital Signage Expo this March, hosted by DSE at the Las Vegas Convention Center. The two day event starts on Tuesday March 15th with a full day of talks and dialogues focused on learning for creating and managing digital customer experiences. In the morning we will focus on how to form and manage a digitally centric project team as well as how to develop a roadmap and strategy for alining content and experiences to your client's business objectives. In the afternoon we will have sessions that explore how to select and navigate technology platforms and what makes the most sense for your project goals. We will continue the discussion with a learning session on budgeting for digital and round out the day with a session on new opportunities for growing digital services and improving the customer experiences through managed data analytics and metrics. On Wednesday March 16th, attendees will visit the Digital Signage Expo show floor and experience group led tours with designX sponsor vendors. There's always more to learn about digital and SEGD designX connects you to the experience you want to create for your client's environments. Be sure to signup for DSE's special hotel rates as many expire on 2/12! You don’t have to understand what parametric data is to experience the poetic, dynamic beauty of Refik Anadol’s work. The Istanbul-born, LA-based media artist combines real-time data and live audio/visual elements to create site-specific, immersive media experiences that challenge our perception of space and question the distinction between physical and digital. Creating smart, meaningful experiences in public spaces requires you to understand—and leverage—all the technologies, platforms, content and disciplines that make up a successful project. 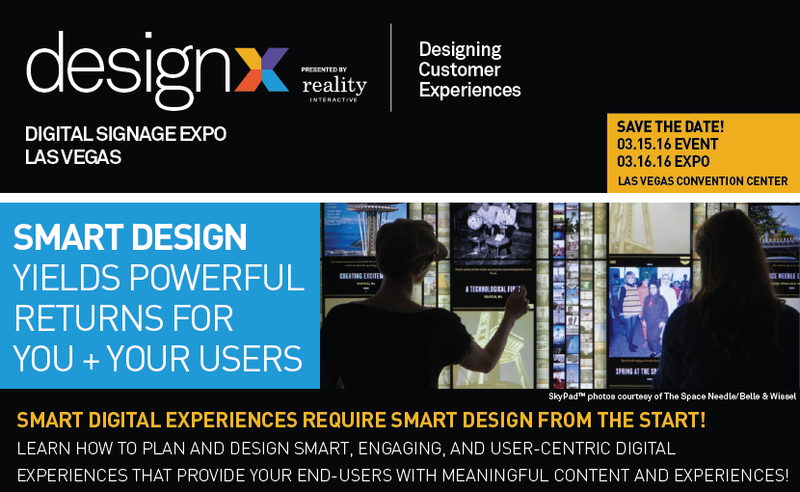 DesignX—March 15-16 at Digital Signage Expo 2016 in Las Vegas—will give you the tools you need AND change the way you think about designing user-centric digital experiences. 16:9 and SEGD to combine Socials at the DSE show in Las Vegas. Smart digital experiences require smart planning and design from the start. 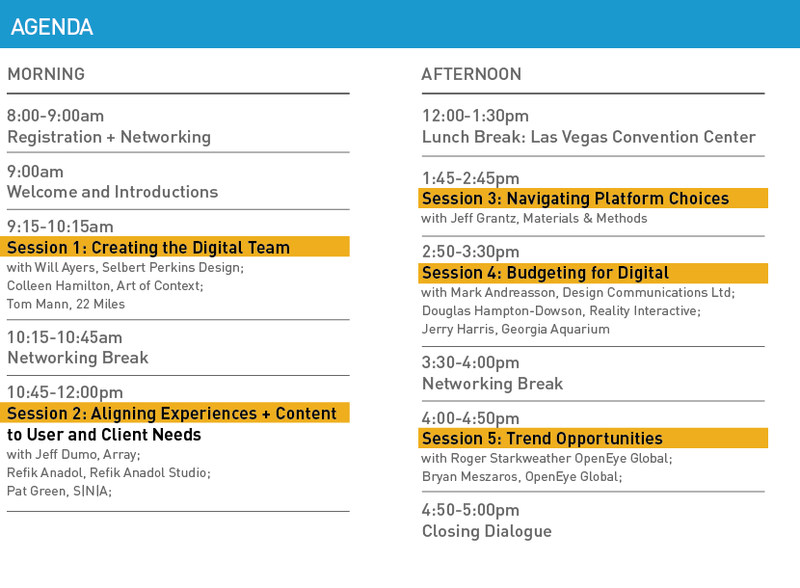 SEGD is partnering with Digital Signage Expo 2016 to present DesignX: Designing Customer Experiences March 15-16 in Las Vegas. The day-long intensive workshop and half-day expo tour will provide you with a detailed road map for navigating your first (or advanced) digital customer experiences.